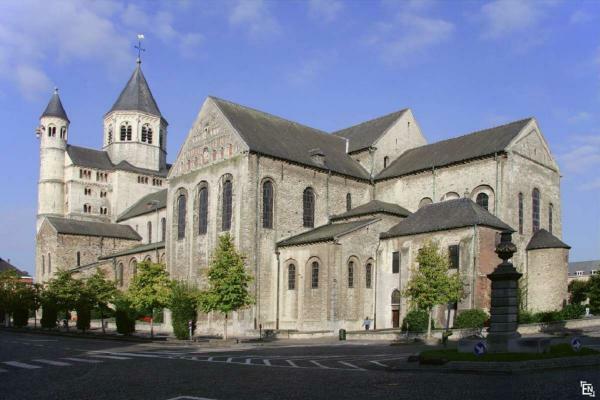 The Nivelles Tourist Office organizes guided tours for groups of the Collegiale church in several languages: French, Dutch, English, German. Emperor of the German nation, and Wazon, Bishop of Liège. 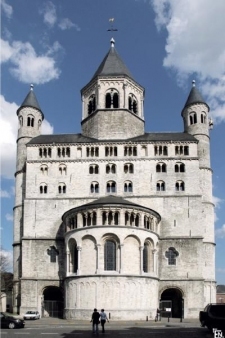 The construction of the 11th century church is in “Ottonian” style, and the front part, dating from the end of the 12th century, in late Romanesque style. The construction was completed in the 13th century with the cloister on the north side. The bicephalous plan of the church is in the Carolinian tradition. The interior and exterior ensemble is of great rigour, the fruit of simple geometric volumes and sober materials. - In the 17th century, when the western apse disappeared to be replaced by an axial opening decorated with a baroque portal. - In the 18th century, when the interior followed the prevailing fashion, and was decorated with stuccos and wood panelling that adulterated the pure lines of the Romanesque architecture. The restoration of the Collegiate Church after the aerial bombardment of 14 May 1940 started in 1948, and was finished in 1984. The Collegiate Church bears witness to the existence, at the same place, of an abbey founded in the 7th century in the domain of Pippin the Elder. His younger daughter, Gertrude, was its first abbess. The community of enclosed nuns and monks was turned into a chapter of canons and canonesses, which was abolished in 1798. 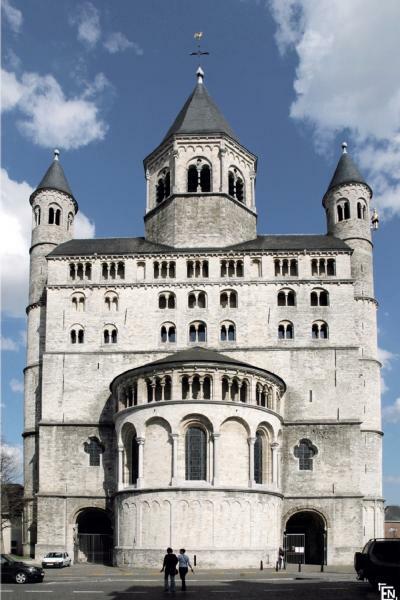 The western apse was replaced by a monumental entrance. The porches were blocked up. A square church tower and spire about 60 m high replaced the Romanesque tower. Removal of 15th century rood screen. (72) in the eastern choir. Sculptures by « Laurent Delvaux ». 19th century: Restoration of the cloister. 14 May 1940: Destruction by aerial bombardment. 1940-1944 : Clearing and consolidation of the church. Excavations by Canon Lemaire in the west anJ. Breuer in the East. 1948-1959 : First restoration campaign. The body of the church, architects: M. Ladrière – S. Brigode. 1950-1953 : Excavations by J. Breuer and J. Mertens. Archaeological basement no. 1 (East). 2008/08/18 - Visit the Collegiate. Report by Nathalie Wacquez and Christophe Anciaux. A good activity to do during the holidays or throughout the year, regardless of the time. 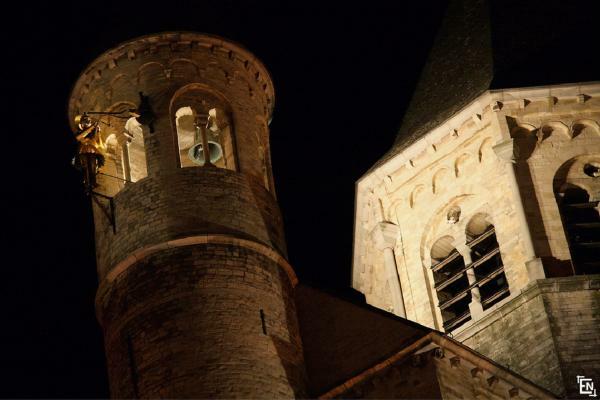 There is always something to do in Nivelles. The Tourist Office offers tours of the Collegiate church. Each afternoon at 14:00, a guide is on duty to show visitors this exceptional building, its history and architecture.